Orinda, CA Short Sale Stats For November 2012 Are In! Orinda CA short sale and other real estate stats for November are in. What we’re looking at is November 2012, what the stats look like compared to the previous November of 2011. The number of new listings in November was 11 versus the year before, November of 2011, there were only seven. So, that’s a pretty big increase, but we’re not seeing a lot of increase in new listings from the year prior. We’re certainly seeing that in Orinda, there’s an increase of about 57%. The number of closed sales, there were 14 closed sales in November 2012. That’s up about 40%. But the inventory for homes for sale is down, overall. These stats represent Orinda CA short sale homes as well as regular sales and REO/bank owned sales. In November 2011, there were 61 homes for sale. If we fast forward to November of 2012, there were only 30 homes for sale, pretty indicative of what’s happening with inventory in the East Bay. Not a lot of properties on the market including Orinda CA short sale homes, so the inventory is down about 50% year-over-year in Orinda. If you have any questions about Orinda real estate or anywhere else in the East Bay, contact us. To learn more about Orinda CA short sale homes and to view our Orinda CA short sale listings, please visit our YouTube Channel. 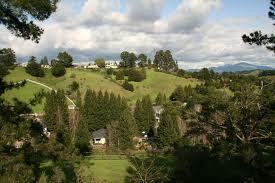 You can also contact us if you are thinking about seller your Orinda CA home as a short sale. We have a lot of experience with short sales and have dealt with most lenders and credit unions to successfully close your short sale. We can also tell you about how you might qualify for government sponsored short sale programs which can get you cash back at closing!